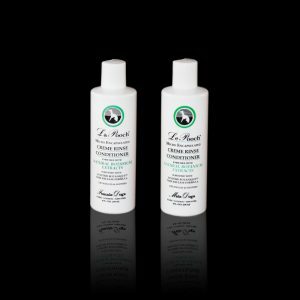 Ultra light Pooch Botanique Crème Rinse will leave your pet’s coat feeling silky smooth, never greasy. 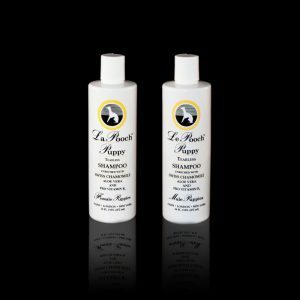 It’s mild, fragrance-free formula provides the detangling power you need without the heavy oils and humectants that weigh fur down and prevent skin from breathing. 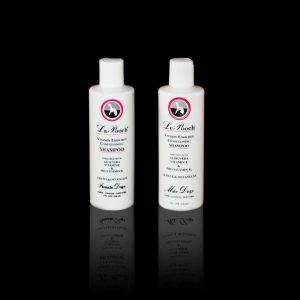 Dilute it with 10 parts distilled water to create a luxurious leave-in conditioner for extra moisturizing and manageability.